As the continent’s leading sport, football is very much an intrinsic part of African life. With such interest comes an incredible desire for content. Traditionally that has always been delivered physically, whether through events such as player or team visits, to exhibition matches or tournaments. Whilst on-ground interaction remains a hugely important component of sports marketing, the digital landscape has advanced considerably in re-cent years, which has provided incredible opportunity for sports organisations. Combined with a growing population, rising incomes and increased use of social networks, this has allowed fan engagement to increase dramatically in Africa. Whilst in the past Africa’s digital landscape had proven more challenging due to technological and infrastructure development in the region, the introduction of high speed 3G, 4G and shortly 5G cellular networks, plus the availability of more affordable products, are giving Africans greater access to digital platforms. With more than half a billion Africans now owning a mobile phone, organisations are constantly adapting their content strategy to account for the different ways people are consuming content, taking a much more localised approach to target specific audience groups. The growth in the continent’s technological infrastructure therefore provides significantly increased opportunity to reach more fans, on a more regular basis, which helps build brand affinity. More importantly however is that with the development of high speed cellular networks, more visual content can be shared with fans – which is key to engagement. In certain areas, such factors are providing fans with the opportunity to engage with E-sports for the first time, estimated to be worth in excess of $130 billion USD globally. For many sports organisations, capitalising on this growing industry is a key tool for promoting brands, building commercial value in their product and reaching young audiences. Technology has also allowed organisations to work much more closely with broadcast partners to fully utilise the potential of their non-linear platforms, such as OTT and social media channels. Whilst traditional television still provides massive reach across Africa, second-screen platforms gives fans much more choice whilst also providing an opportunity to significantly amplifying third party content to target audiences. The development of network infrastructure has also been crucial for promotion in the knowledge that sports are not only competing against each other but also against the likes of gaming and entertainment. That’s why it’s important to provide the easiest access to content through affordable platforms, which, for many sports, should be key when considering partners in the region. Rapidly developing technology has also created the opportunity for innovation, which for any modern organisation should be at the forefront of any forward planning strategy. With internet giants and start-ups testing new products in the region, a culture of creativity has emerged within the digital community. 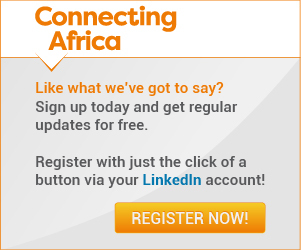 Many new products and services are being trailed in Africa and, if successful, will be rolled out into other markets. This can only help with developing new ways in reaching fans and bringing them closer to the game. In light of recent advances, over the coming years broadcasters will remain crucial partners in helping reach millions of fans. However, forward thinking organisations should also be looking to actively increase engagement with the digital and technology community to ensure they remain innovative within a fast moving and challenging industry. This is not only key to internationalisation, but crucial to growing brand affinity and following across Africa. Investments are being made that will benefit the citizens of Africa, improve economies and perhaps most importantly give the people of Africa the opportunity to play their part in the Fourth Industrial revolution.